Choose from six different designs: simple and inexpensive open top, attractive and stylish hinged half round opening, functional hinged 5.5" dia. 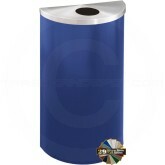 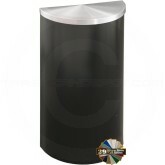 round opening on the top lid, or sleek hinged flat top with front opening and completely enclosed flat top with no opening for use in food areas and health clubs. 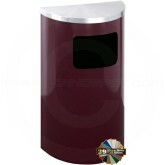 Choose the ash/trash receptacle in casinos, bingo halls, game rooms and wherever cigarette ashes and butts need to be collected with the front opening for trash and a hinged flat top with a self contained cigarette ash unit. 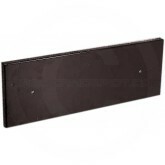 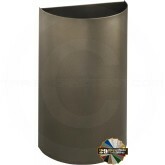 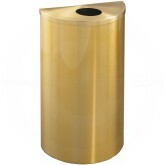 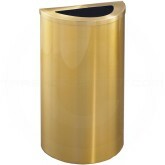 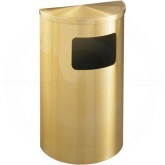 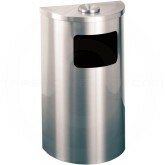 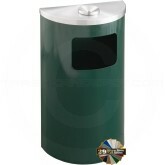 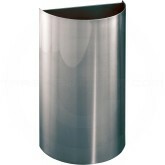 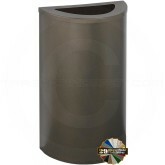 The ash trash unit has a funnel top to conceal smoker's debris, contain smoke and odors and is easy to clean.